Formulated to Clean Effectively and Safe for All Fabrics, Including Linens or Lingerie! Your Friends Will Wonder Where That Glamorous Fragrance Comes From ! Tyler Candle's "Glamorous Wash" is not just a nice name, it is truly a life changing way to clean your laundry, while having your clothes smell amazing good. Okay, life changing might be a stretch, but some customers really feel that way! This detergent is safe on all types of laundry and can be used in high efficiency washers. 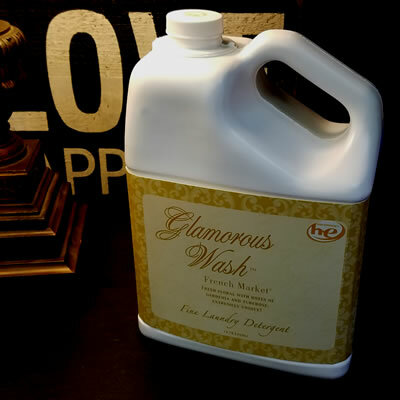 Glamorous Wash has a very powerful fragrance so be sure to use a little the first time washing with it. You can always add more on the next load of laundry to meet your desired fragrance strength. To see all the fragrances and sizes available, click for details. 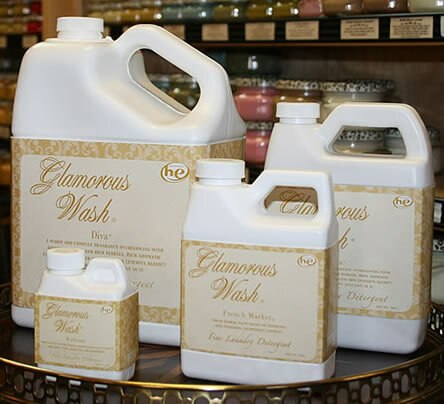 What do people say about Tyler Glamorous Wash? — I absolutely love this Diva detergent, the scent is amazingly awesome! The fragrance last for days. — People tell me all the time I smell so good. This fragrance detergent acts like a perfume! — This wash is the only detergent I use and it works great… lots of suds and my clothes come out clean. — Not only does it fragrance my laundry, I use it in the water or steam cleaner when cleaning the floor. Question: How much product do I need to use? How much to add to each load of laundry? Answer: It depends on your personal preference, needs, and desire on how strong you want the fragrance to be. Some people only use a small cap full per load, as they believe its very strong. Others use the recommended amount of 1/3 cup (or more) per load. Question: Are there limitation on what type of fabrics or type of wash cycles to use Glamorous Wash? Question: What size is best for the money? Answer: When you buy a gallon size, it’s $22 cheaper than buy four 32 oz bottles.